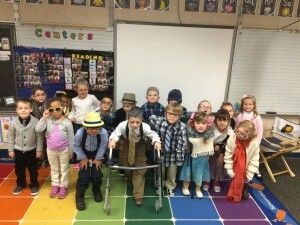 What do kindergarten students do on the 100th day of school? 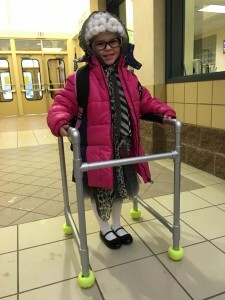 They dressed up like a 100 year old person and they seemed to have a good time doing it! This is Bell Brown from Mrs. Schroeder’s classroom along with another kindergarten classroom at Rosa Parks elementary.